It was the era of T. Rex’s Electric Warrior, David Bowie’s Ziggy Stardust and Lou Reed’s Transformer. Glam rock was all the rage as were Roxy Music, Mott The Hoople and The New York Dolls. And there was also a new brand of power pop taking the charts by storm at the same time with hits like “Little Willie” by Sweet, “Go All The Way” by Raspberries and later “Saturday Night” by Bay City Rollers. Enter David Essex…British actor and future glam rock pinup star. 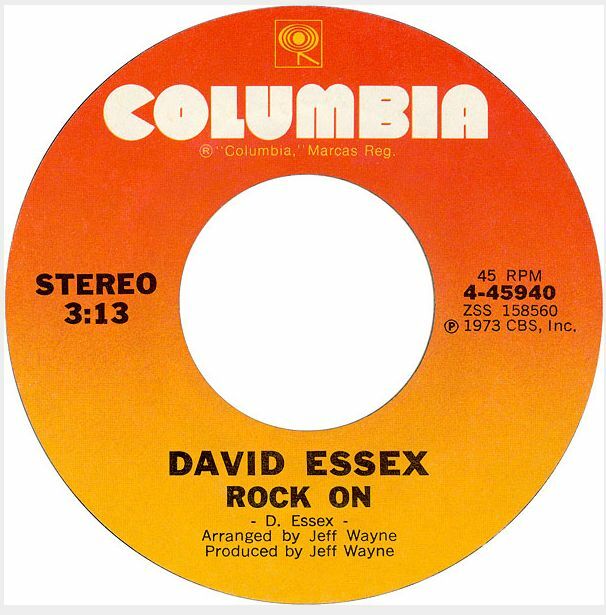 Essex had an acting career appearing in the musical Godspell in 1971 and later in the film That’ll Be The Day where he came to the attention of British and American audiences alike. 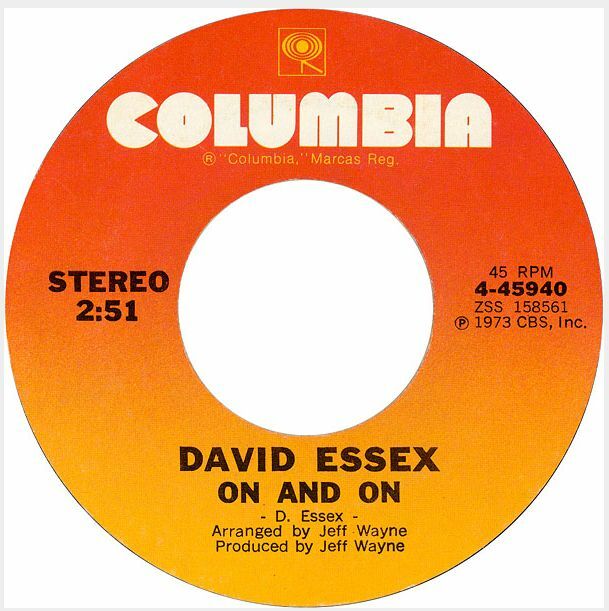 So it was just a matter of time for him to take on the world of recorded music with today’s self-penned jukebox classic and two-time hit from 1973. The bass player on this sinuous track is Herbie Flowers who went on to play bass for David Bowie on the Diamond Dogs album the following year. This song is the ultimate glam-pop confection, a sticky piece of ear candy with a slicing string arrangement and echo-laden bass riff. It should be no surprise that the track made it into the U.S. top five by 1974. 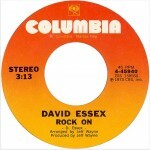 Such was the popularity of the song that it would eventually top the charts again in 1988, when it was recorded by TV soap opera star Michael Damien. 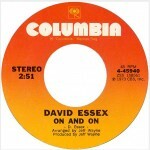 While Essex will forever be associated mainly with this song in America, and perhaps his appearance in Jeff Wayne’s musical interpretation of The War Of the Worlds from 1978, he has led a long acting career primarily in the UK, where he has performed in the musicals Evita (and scored the top-five British hit “Oh What A Circus.”), Aspects Of Love and Footloose. 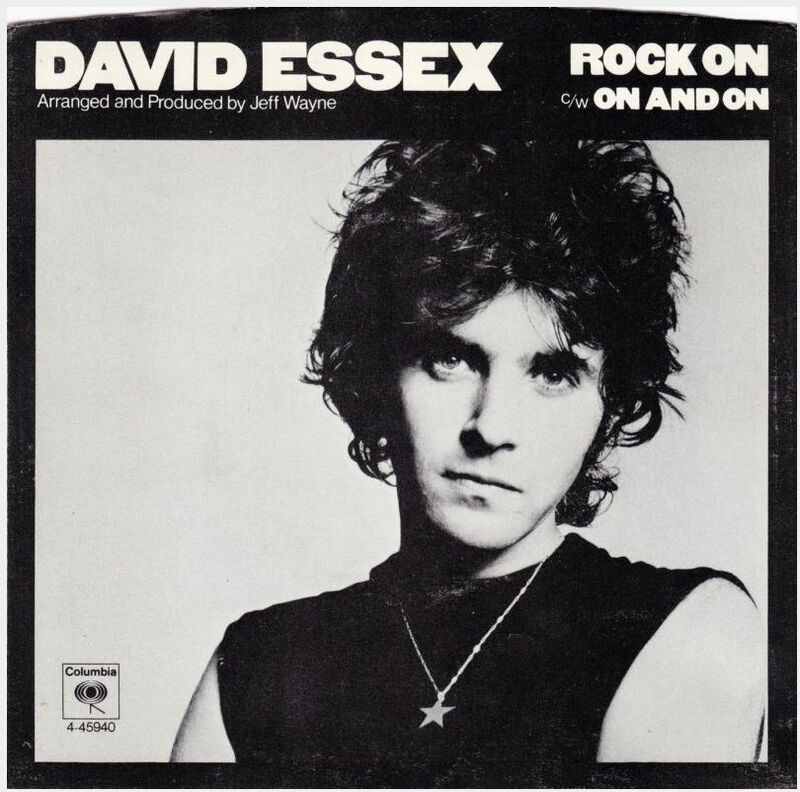 The flip of today’s Song of the Day is “On And On,” a fine ballad that is also another self-penned track from Essex’s Rock On album.